Geek Deal of the Day!!! 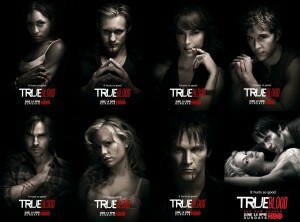 Seasons 1-3 of HBO’s ‘True Blood’ on Blu-ray!!! Over 60% off!!! Today’s geek deal is all about HBO’s ‘True Blood’. The first three seasons are available on Bluray for over 60% off. This brings each season to right around under $30.00. This is the CHEAPEST ‘True Blood’ ever. Each season is packed with extras and every episode of each season. Take advantage of this sale. It’s always a good thing when HBO series go on sale. Not sure how long this will last. This entry was posted on Friday, December 30th, 2011 at 12:13 pm	and is filed under Film. You can follow any responses to this entry through the RSS 2.0 feed. You can skip to the end and leave a response. Pinging is currently not allowed. « Bryan’s Top 10 Films of 2011!! !